This edition of Gear Talk – girls talking gear and all things awesome – features Dynamite Starfish, a Los Angeles-based climbing lifestyle brand that designs tees and tanks inspired by places that are near and dear to any California climber’s heart. We love that each shirt is screen printed with water-based inks to keep the environment in mind, and in colors and cuts that are comfy and flattering. We sat down with founder, artist and designer Leslie Sam Kim, to talk shop. We’re so much more than just another t-shirt company. From the design to the printing technique, Dynamite Starfish creates tees that bring awareness to the outdoors in a fun and cheeky way. They remind us of the classic crags we’ve grown to love, and encourage us to explore the places we have yet to see. Welcome to our inaugural edition of Seeking Higher Ground – a column about climbing, women, and women climbing – written by Bouldering Babe Athlete Anastasia B.
It’s 100 degrees outside, and I’m halfway up one of maybe ten bolted routes in the whole of Zion. I’m not sure what grade the route is, only that I’m hot, it’s hard, and that I’ve never been in this far over my head. From the ground this seemed like such a sure thing, but I am afraid. I am gut-wrenchingly, mind numbingly afraid. This edition of Gear Talk – girls talking gear and all things awesome – features one of our badass BFFs The Jam Salves, a Providence-based purveyor of handmade, natural salves for myriad of uses. What strikes us most about The Jam Salves are its non-greasy texture, feminine fragrance, and healing properties. We love The Tendon One, which is specifically formulated to heal and strengthen tendons. We sat down with Kristin Re, Bouldering Babes Athlete and one of the beautiful brains behind Jam Salves, to talk shop. To be badass is to love what you are doing, wholeheartedly, and unforgivingly. It doesn’t mean you are the strongest or coolest; it means you do more than what people think you can. You go above and beyond the norm and believe limitations don’t exist. It’s a state of being in which you are in control, and you are an unstoppable force in whatever endeavor you attempt, despite the challenges that come along. Every so often, we’ll interview extraordinary girls doing extraordinary things: this is Girl Crush. 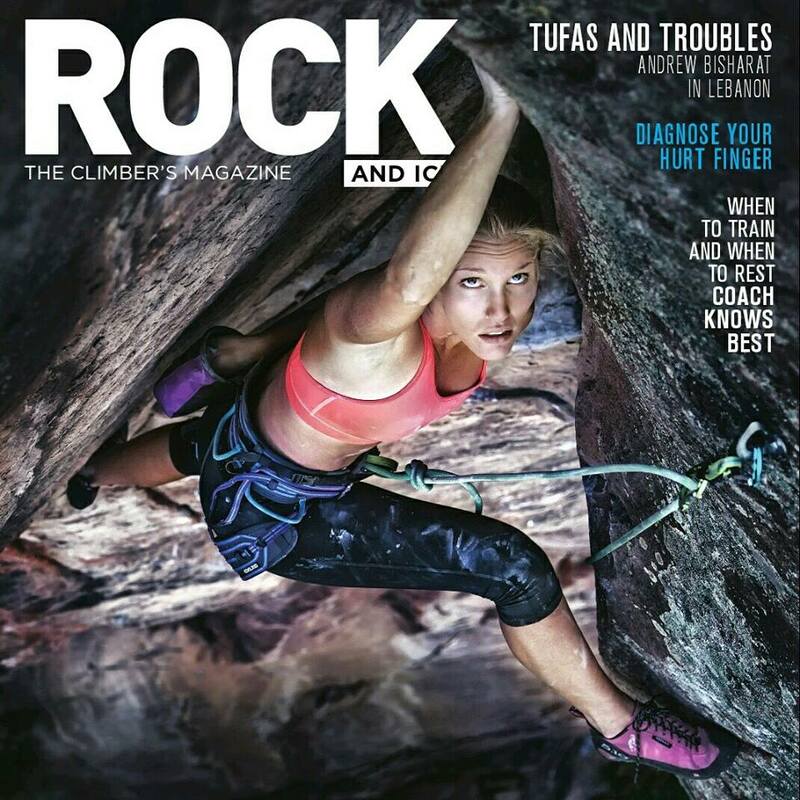 This week, we’re stoked to feature recent Rock and Ice cover girl Alyse Dietel. Alyse had been climbing for 15 years before she fell off a cliff during her first month of college and was paralyzed from the waist down for 6 months. Despite being confined to a wheelchair, she defied her doctors and re-learned to walk, and then to climb. 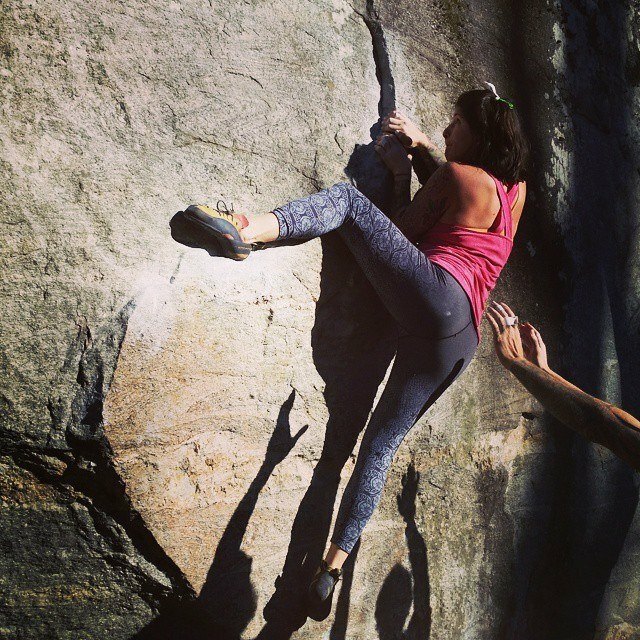 She sent her first 5.13b a year later after intensive training and rehabilitation. Now she has sent more 5.13s and has taken up trad climbing with her boyfriend, Tim.